Dear reader, we don’t know what were your expectations when you pressed the button towards this page. We don’t know what story you wanted to read, but we hope that it is not a waste of time and that our story will be able to at least make you believe more in your dreams and power. We use the plural because we are two – Mustafa and Raluca. We believed in the story of Törzburg Mansion and we brought it to life. From the very beginning you should know that our life is under a simple creed rendered in a syntagm already too often used in our days – life is about moments. Looking towards the past, we understand now that Törzburg Mansion Story is something that comes from our childhood. We both had a childhood full of joy, games and play, freedom and bloopers. This joy of cherishing moments may have come from there. My (Raluca’s) childhood is connected to Bran, Brașov and the surroundings. Here I spent my childhood and here was formed the woman I am today. It was not a coincidence that we both have studies in tourism area. This creed that life is about moments led us towards a career in tourism, an area where the moment matters, where people take refuge for a short period of time after a long period of work. I (Raluca) graduated Manchester Metropolitan University with a Postgraduate Diploma in Hospitality – and I continued my studies graduating Master of International Business in Hospitality Management – Cesar Ritz University – Switzerland. Here, not by chance all the students embrace the same thought of Ritz family – “People create memories, not things”. That is a statement by Simon Cooper, chairman of Ritz-Carlton Hotel Company. As soon as we have finished the specialty studies, we started to feel what “life is about moments” means in tourism. For a (cumulative) period of 40 years I managed to make beautiful moments for millions of tourists as I worked in five stars international hotels: Sheraton Dongguan China, Sheraton Ankara Turkey, Royal Caribbean International – luxury cruise line, Ramada Mersin Turkey, Tugcan Gaziantep Hotel, Knidos Resort Marmaris Hotel, Cappadocia Dedeman Hotel, Royal. I had for long time this dream of building by our creed and imagination a place of perfect experiences. This dream started to came to life in 2017 when we returned to Bran and started the story of Törzburg Mansion. It wasn’t easy. For a year we put brick by brick to create what today is Törzburg Mansion. We chose to rebuild an old manor from Bran and together with Victor, the brave architect who accepted this challenge, we worked assiduously throughout 2017. We knew it is harder to rebuild than to build from scratch, but we haven’t imagined that we will work with such intensity. After more than one year from the first actions on the site, we have reached the day when we speak about opening. The joy is huge and the eagerness of opening the gates, of giving moments to those who stop in Bran amplifies it. This year of endless work to give wings to a dream was the most important in our lives so far. With a lot of passion, maximum of stubbornness and the perfectionist spirit of the architect, we worked to create a unique place in Bran. We fought for very detail, for those the guest can see, feel, hear or doesn’t even imagine. Our purpose was to build a complete experience in Bran in order to give unique moments of fulfillment. The real joy is the one that lasts and goes beyond pleasure. 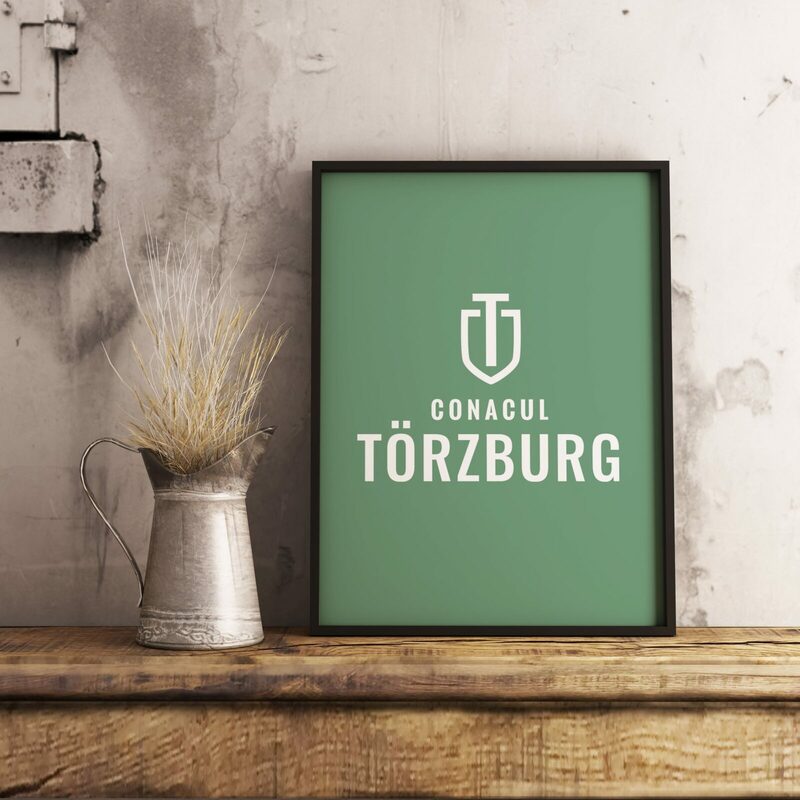 Through everything we built at Törzburg we sought to offer the perfect frame to live a joy that lasts. Seen from outside, our story, the one of Törzburg Mansion, is about freedom, about the power of believing in a dream and about the joy of living every moment of our lives. There are a lot to say. We promise to tell everything to all those who cross our door and are curious to find out our story. Dear reader, you should know that we are days before officially opening our doors. We are excited and happy and we write these lines thinking that if you really believe in something, you will definitely manage to fulfill your dream. Thank you for reading these lines and we hope to see you soon in Bran and to speak face to face about the joy of giving moments.